The illustration shows a close up view of the senile cataract during eye examination. Senile cataract is a vision-impairing disease which is age related and involves gradual progressive thickening of the lens in the eye. Senile cataract occurs equally in men and women. 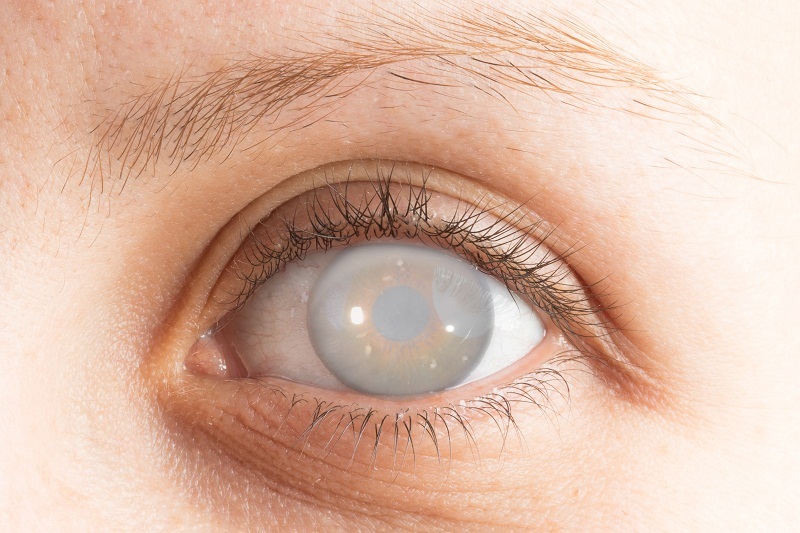 At the initial stage, the lens is swollen and iris shadow is visible whereas in mature stages, the lens appears pearly white in color and calcium deposition is observed. Cataract surgery is a treatment of senile cataract but there is no proper cure to it. Corneal opacities are eye problems that can lead to scarring or clouding of the cornea, which decreases vision. 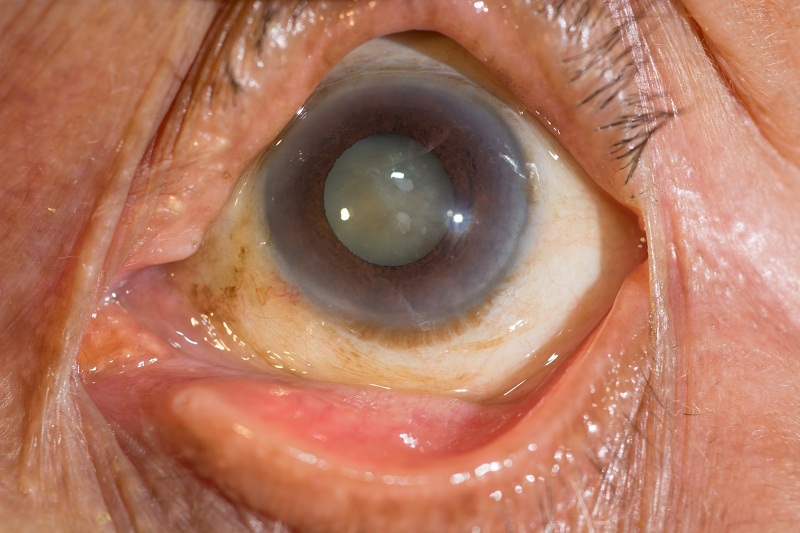 The image shows a patient's eye with cataract and corneal opacification. Cataract also leads to clouding of the eye's natural lens (present behind the iris and the pupil). Cataract with corneal opacities leads to blindness. If the cornea is completely damaged, a new cornea is replaced in place of the old cornea with the help of a transplant surgery. 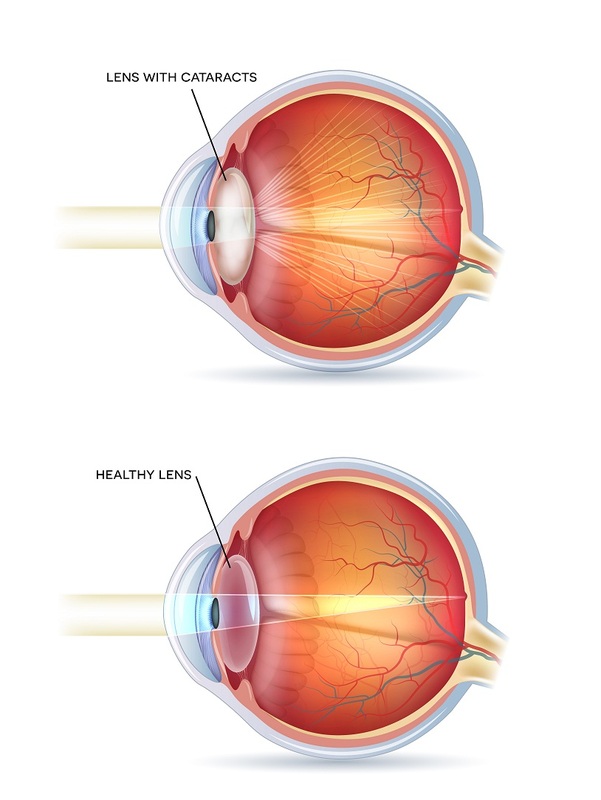 An intraocular lens (IOL) is a tiny, artificial lens designed for the eye. 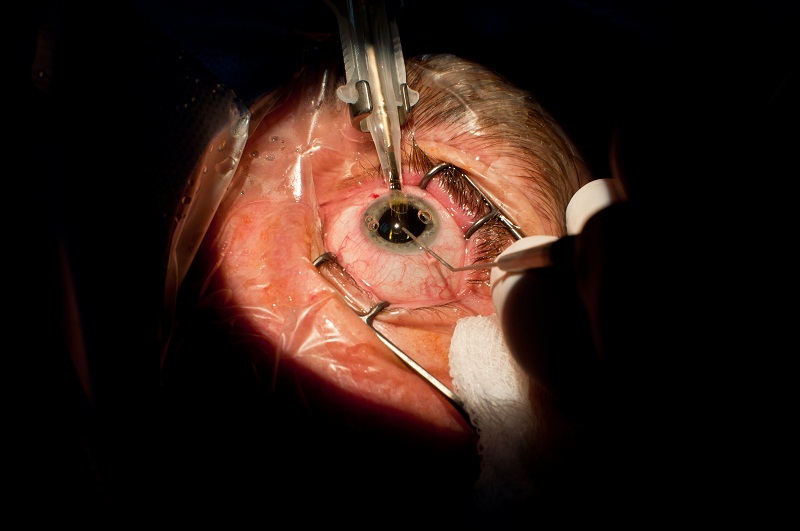 It is used to replace the eye's natural lens that is removed during cataract surgery. IOLs are also used for vision correction surgery called refractive lens exchange. FDA-approved IOLs have been available in the market since early 1980s. 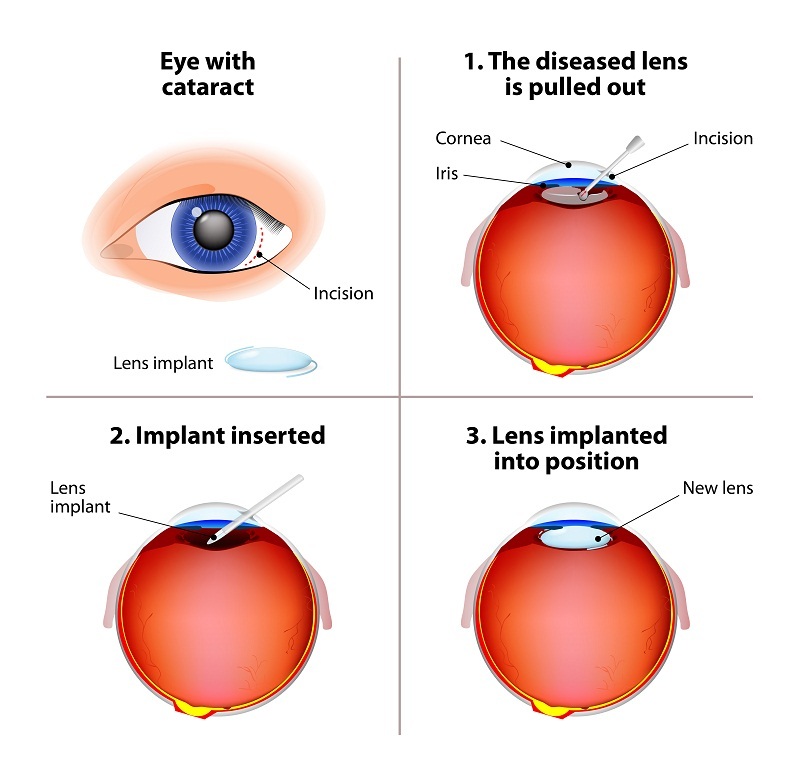 In the cataract surgery, an intraocular lens (IOL) designed for the eye is used to replace the eye's natural lens that is removed during the surgery. FDA-approved IOLs have been available in the market since early 1980s. Small incisions are made during the surgery. 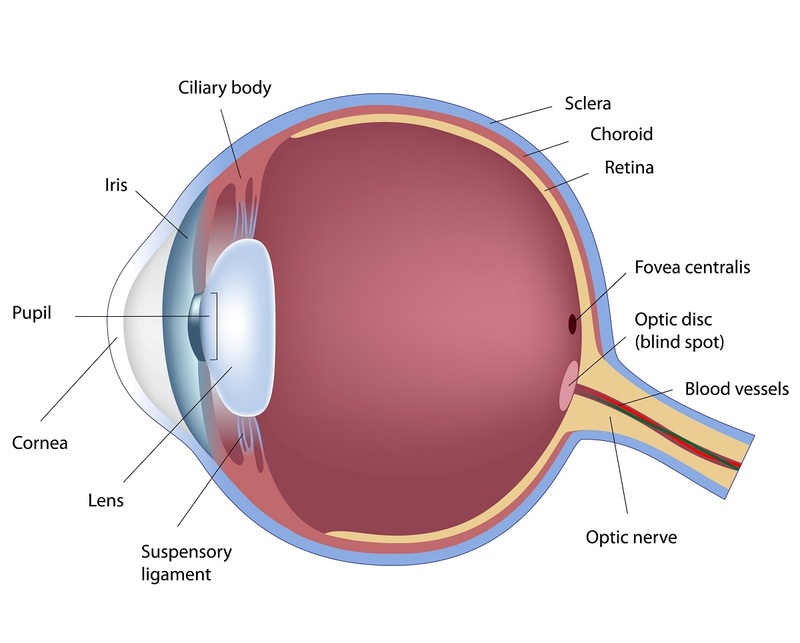 The illustration shows cataracts vision disorder and normal eye anatomy. Cataract causes clouding of the eye's natural lens, which lies behind the iris and the pupil.